Muse for a new CAS challenge. There is a new Clean and Simple challenge in town everyone! So here is my muse card. Here is my CASEd card. 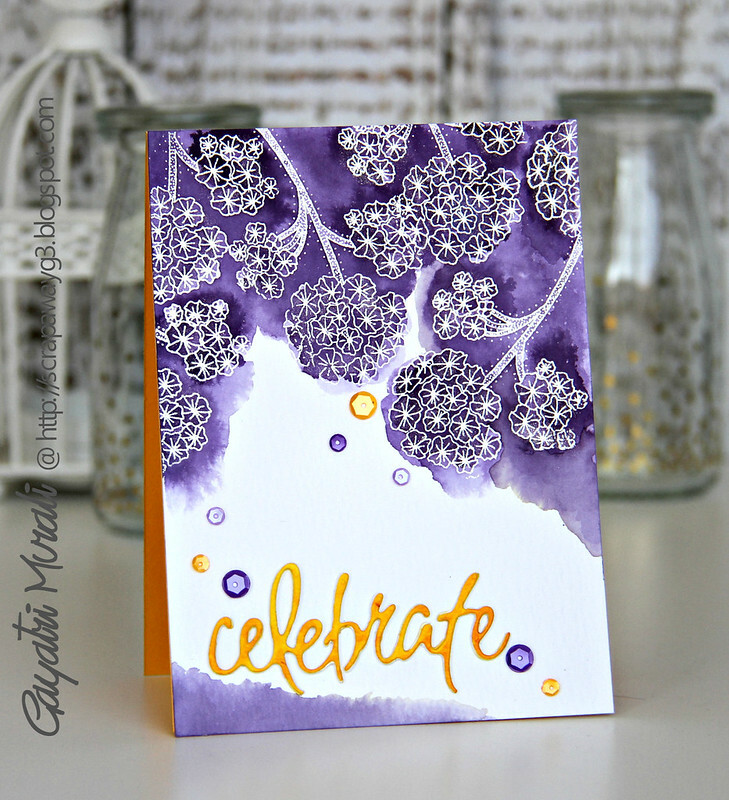 I have used the hydrangeas from Penny Black’s Blooming Garden stamp set which I heat embossed on the watercolour cardstock. 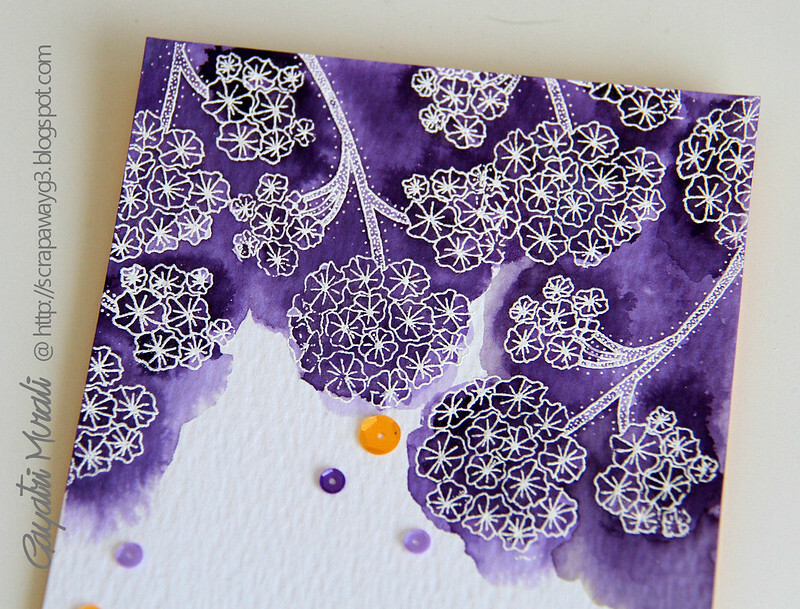 Then I colourwashed with Purple colour from Peerless Watercolour. I did this in layers starting with the lightest, drying then layering with another layer of purple with heaver shades in few places. 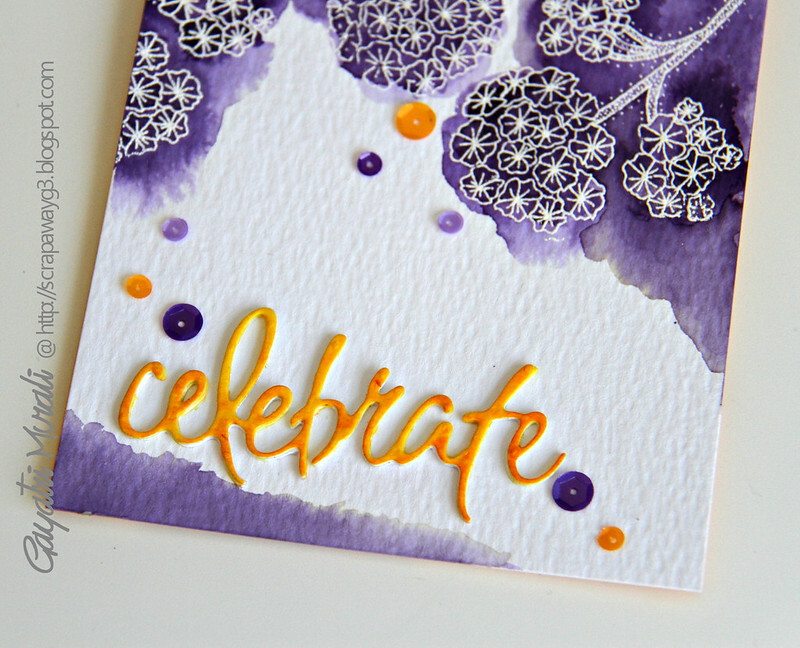 This gives nice depth to the colour wash.
For the sentiment I colour washed the watercolour paper in orange colour and then die cut Celebrate die from Celebrations die set also from Penny Black for the top layer. I also die cut couple more using regular cardstock. I then stacked and glued them with the orange die cut on the top. Finally embellished with Pretty Pink Posh’s Amethyst 6 mm and Marigold 4mm sequins. both your inspirational card and your new one are stunning. So beautiful. 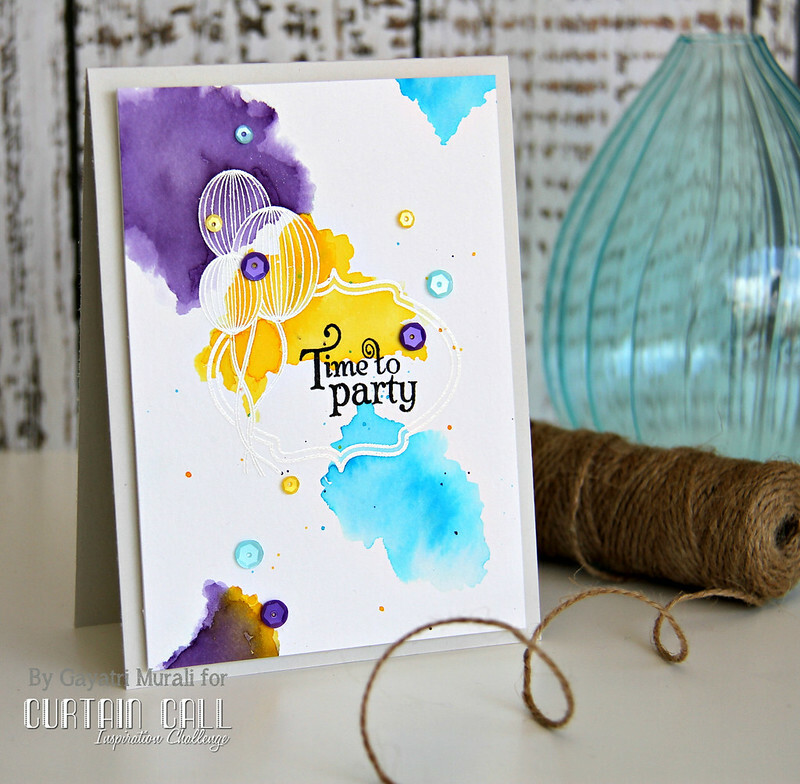 Love the purple and yellow combo!!! You always come up with spectacular color combos. Both these cards are fabulous.